Despite freak weather suggesting being in thrall to oil is myopic, US politicians cut funding for cycling and walking. 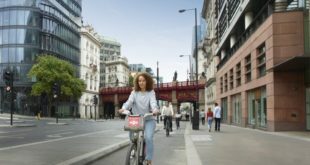 The US House and Senate has approved a three-year transportation bill which maintains current funding for building major highways but the cash for "transportation enhancements" – such as cycling and walking programmes – has been cut by up to 70 percent. The Safe Routes to School programme has been eliminated completely. A majority of US politicians wanted to see bike funding reduced from $790m to zero but had to compromise on savage cuts instead. In March, 800 US cycle advocates at the National Bike Summit had lobbied politicians to maintain federal funding for bicycle projects. Industry folks joined advocates and all were keen to stress that more bicycling equals more bikes sold, more jobs, more tax revenue and less reliance on the healthcare system (this last point piques the interest of even hardened libertarians). However, as John Burke, president of Trek, reports on his blog, cycling will no longer get a "fair shake in the transportation bill". He said industry and advocacy lobbying had failed: "we lost". Burke said the fight goes on: "Bicycles are a simple solution to congestion problems, energy dependence, environmental issues, and health issues. We have won a lot of battles over the last 15 years and while we lost a big one this week, we will be back. Lesson learned, if everyone who really cared about making America a cycling friendly country got involved, we would have easily won this battle. Too many people sat on the sidelines and as a cause we need to be better organized next time around. We will be. The America Bikes coalition — representing the nation’s leading bicycling and walking groups — and the Safe Routes to School National Partnership oppose the new transportation bill. 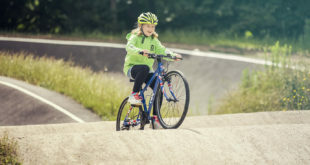 Tim Blumenthal, president of the industry-funded Bikes Belong Coalition, wrote to the Bikes Belong board with some background information on programme eliminations and the creation of a Transportation Alternatives category from central Government. "Dedicated funding for Safe Routes to School, which totaled $131 million in the last fiscal year, has been eliminated. Dedicated funding for Transportation Enhancements, which totaled $266 million for bike/ped funding in the last fiscal year, has also been eliminated. "Most potential bike funding programs and opportunities fall into a new category called Transportation Alternatives. Recreational Trails money for bike trails, which accounted for about $31 million in spending during the last fiscal year, is now included in this category, as is Safe Routes to School. The bad news about this category is that environmental mitigation (which used to be treated separately) has also been inserted, as have some projects that focus on road repairs and improvements. Exactly how much money is available to fund Transportation Alternatives is still being determined and debated, but it will likely be a small number compared to what has traditionally been available to support bike stuff." Small comfort, perhaps, but Blumenthal said one change that could have a positive effect was that local governments will be able to decide how to spend half of the Transportation Alternatives money. "This is a new provision, and it’s a good thing for bicycling because city and town leaders tend to value bike programs more highly than state departments of transportation," said Blumenthal. Clutching at straws, he added: "There always is a chance for a final-hour rebellion against this bill. It could come from Tea Party members of Congress who are unhappy that the overall bill funding level requires money to be transferred in from the general fund. I don’t think this is likely, but I have to admit that we’re hoping it does. In that case, transportation funding would likely continue into early next year at current levels, and we’ve have additional time to push back against massive and disproportionate cuts. "One thing is for sure: we will need to become more effective in each state and in more cities to secure the money that is available to make bicycling safer and easier for Americans." 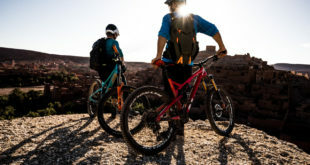 Bikes Belong is one of the three organisations mulling over joining into a larger body, the thinking being a larger body could be a more effective lobbying force. The other organisations are the League of American Bicyclists (US equivalent of CTC) and the Alliance for Biking & Walking.